Our work is based on a conviction that, to play an active role in the development of their communities and countries, people need opportunities and tools: the knowledge to participate in civic and economic life, a voice in public decisions that affect their wellbeing, and a means of making a meaningful living. We call this approach “Knowledge, Voice, and Enterprise”- a philosophy reflected in all of NEF’s work. For nearly 100 years, the Near East Foundation has pioneered innovative solutions to social and economic development challenges impacting communities throughout the Middle East and Africa. Headquartered in Syracuse, NY, and engaged in a strategic partnership with Syracuse University, NEF is an operational non-governmental organization (NGO) with current programs in nine countries: Armenia, Jordan, Lebanon, Mali, Morocco, Palestine, Senegal, Sudan, and Syria. In these countries and throughout the region, we work with local partners to directly improve the lives of tens of thousands of vulnerable people each year through initiatives in sustainable agriculture, microenterprise development, women’s empowerment, civic education, and peacebuilding. Basic knowledge is essential to full participation in civic and economic life. Without it, urban and rural poor alike have little prospect of taking advantage of new opportunities for employment and self-improvement. Their poverty and vulnerability to exploitation persists—often while society around them prospers. NEF education, literacy, and job training programs offer access to the basic knowledge needed to pursue civic and economic opportunities. In addition, NEF training on communication, negotiation, and conflict management and resolution support peacebuilding efforts in communities affected by conflict. Many of NEF’s local partners have been excluded from public decision-making due to poverty, lack of education, established gender or cultural norms, and/or geographic isolation. They have no seat at the table, and their lack of political power is both the cause and effect of their vulnerability. Through community organizing and institutional building initiatives, NEF helps establish and strengthen local organizations, empowering them to take collective action and effectively represent their members. Our approach to creating economic opportunity varies according to the social and economic realities of our local partners, and may focus on agriculture and natural resource management, value-added processing, small-scale commerce, and/or local service delivery. In each case, NEF provides technical assistance to improve productivity, job and business development training, and micro-credit to help vulnerable people gain the knowledge and skills needed to earn a meaningful living and lift themselves out of poverty. NEF’s decentralized structure empowers local development professionals. Most of our technical capacity and programming capacity resides with the teams in the field. This allows NEF to design initiatives that are especially responsive to local needs and tailored to local conditions. Our field programs evolve organically with the changing nature of local development challenges, as reflected in the growing importance of urban poverty reduction initiatives in Morocco (Casablanca), Egypt (Cairo) and Jordan (Zarqa). NEF has sustained its presence in partner countries and communities over many years. These long-term relationships give us intimate knowledge of local circumstances and challenges. Just as important, the relationships and NEF’s local reputation are a foundation for trust with groups that are often difficult to reach—such as residents of remote villages in Morocco’s High Atlas Mountains, refugees in urban Jordan and Palestinian farmers in the West Bank. NEF’s local capacity and long-standing relationships enable NEF to pilot and refine innovative solutions to local development challenges. While our activities are rooted in grassroots action, the approaches and tools we develop gain traction far beyond the communities in which we work. For example, local natural resource management bylaws, developed by NEF and its partners in northern Mali, are now common elements of development practice throughout West Africa. NEF’s locally adapted models for micro-credit and small enterprise development are now widely used by NGOs throughout Jordan. And NEF’s model of engaging communities to increase girls’ education, piloted in a handful of villages in the High Atlas Mountains, is now used across southern Morocco and is on the cusp of expansion to the national level. Conflict is a backdrop to daily life in many of the communities where NEF works. While conflict expresses itself in many ways—warfare, competition over natural resources, occupation—poverty is often a significant underlying cause and almost always a consequence. We create new pathways for peace and show policymakers how it is possible to move forward in areas of entrenched conflict. NEF continues to implement highly effective initiatives to reduce poverty and promote sustainable economic development in conflict and post-conflict areas. Our approach focuses on core livelihood issues in a given area and helps populations find mutual interests and benefit through economic cooperation. By focusing on livelihood issues, NEF frames conflict mitigation and reconciliation into practical and immediate concerns for average citizens. This takes different forms depending on the causes and consequences of conflict - including economic sector development, economic reintegration and inclusion, and collaborative Natural Resource Management. 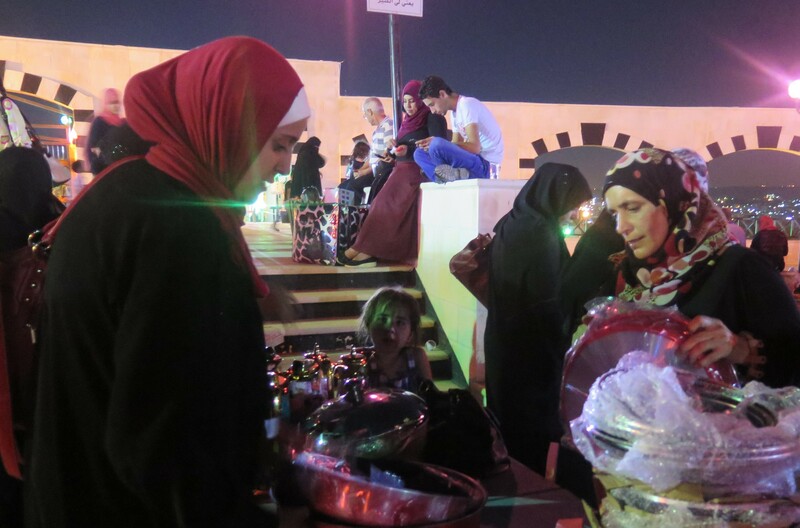 Throughout the Middle East and North Africa, women are assuming increasing economic responsibility for their families. In spite of the necessity, they must overcome social barriers, lack of job skills or business management experience, and little access to credit. At NEF, we have found that microenterprise development is among the most effective and accessible ways to create jobs and income for disadvantaged women in the region. Working in partnership with local community associations, NEF provides vulnerable women—rural and urban poor, heads of households, widows, refugees, victims of domestic violence—with business management training, helps them access credit, and facilitates networks to provide both business and social support. NEF also helps organize networks to offer ongoing mentoring to entrepreneurs to ensure the sustainability of their new businesses. One of the most vulnerable groups in the Middle East and North Africa is smallholder farmers, who are on the frontlines of climate change yet often lack access to the information, tools, and infrastructure to adapt. NEF supports smallholder farmers and other natural resource-dependent populations (herders, fishers) through a variety of initiatives to improve food security and increase incomes. Among NEF’s primary areas of focus in agriculture has been to enable communities to use water resources more efficiently—harnessing nonconventional water resources, such as rainwater harvesting, spring catchment, and wastewater reuse; introducing water-efficient crops and farming practices; and adopting improved irrigation technologies. Beyond achieving short-term gains, our goal is to help develop the local capacity and infrastructure to manage agriculture and natural resources sustainably in the long-term. Approximately one in five citizens in the Middle East and North Africa is between the ages of 15 and 24. That’s 90 million people and growing. Youth have a vested interest in building a region that’s more inclusive and opportunity-rich. Yet their exclusion from the civic and economic life of their countries is one of the key factors driving reform movements across the region. NEF invests in underserved youth to help them overcome economic and social barriers. We work with youth and the community organizations that support them to find practical ways to constructively address real problems in their community, including unemployment, environmental degradation, and safety. Our efforts help youth amplify their voice in society. We offer them the tools they need to change the course of their lives and to take a leadership role in their communities. Mastoura is a mother of two young boys from Abou Felew village, one of the poorest villages in Menia governorate. She was left with nothing after her husband’s death and now raises her two young boys by herself - paying for all their education, clothes, and other essentials. After her husband’s passing, her family lost their home and they were forced to move into her parent's house - a small residence with barely enough space to host them all. Mastoura has always been dependant on the financial support of her father and/or her husband. As a girl she had limited access to education, and with limited skills she struggled to find employment to support her family. In 2012, Mastoura joined an NEF initiative to economically empower women by providing them with skills training and and employment opportunities. The project was supported by Barclays Egypt and implemented in partnership with the Center for Development Services and Benaa, a local NGO. As one of 30 owner-employees of a sewing workshop, she now makes about $120 per month manufacturing school uniforms, jackets, and graduation gowns. The income Mastoura earns from the workshop has enabled her to support her sons, move out of her parent’s house, and build a home for her family. Sabrine is a young woman from Abou Felew village in El Miniya governorate in Upper Egypt. She lost her parents at a young age and she was raised by her mother’s sister and her family. Living in a conservative and marginalized rural area, Sabrine was not allowed to leave the house on her own and she was never given the opportunity to attend school. With limited skills or education she was completely financially dependent on her relatives. In 2012, Sabrine joined an NEF initiative to economically empower women by providing them with skills training and employment opportunities. The project was supported by Barclays Egypt and implemented in partnership with the Center for Development Services and Benaa, a local NGO. The experience of participating in the project proved life-changing for Sabrine. She now goes out, has friends, and has a fixed income that gives her self-sufficiency and independence. Dayr Al Kahf is divided into 8 towns, which are home to more than 13,000 people. The region hardly has any natural source of income at all, leaving most inhabitants living at a subsistence level, dependent on shepherding. Due to its isolation, there are very few grocery stores, convenient stores, health centers, or other sources of basic commodities. After meeting with many local organizations, the Near East Foundation decided to support 4 projects to improve the lives of Dayr Al Kahf’s inhabitants—a supermarket, cooking gas distributor, party supply company, and a sewage truck. Following this decision, in April 2010 the Near East Foundation and a local cooperative rented a small space to build the town’s first and only supermarket. This new store is now frequented by nearly all the town’ residents, who no longer need to take a time-consuming bus ride to buy groceries—basic necessities such as chickpeas, rice, oil, laundry detergent, and frozen meat are now readily available. The supermarket’s revenue is enough to cover its running costs, the rental space, and a salary for the employee who serves as cashier and accountant. A related problem dealt with the lack of cooking gas, making it difficult to prepare meals. In May 2010, NEF helped establish a cooking gas distribution system. Now a colorful gas truck donated by the NEF distributes gas for 6.5 Jordanian dollars (JD)—a service that previously cost more than 20. The gas tanks are supplied by the local gas company and distributed from one single point near the new super market. Although the project is only two months underway it has already sold more than five hundred tanks to families all around Dayr Al Kahf. The community also desperately needed its own sewer water collection system. Since the 1960s, most houses use underground septic tank systems, but families were reliant on expensive services from companies based more than two hours away to empty the tanks. Now, after two months of discussion and planning, Dayr Al Kahf has its own sewage truck provided by NEF to maintain hygiene and water purity in the area. Over the past year NEF has worked in the Tafilah Governorate of Jordan to promote gender equality and women’s rights by creating a network of youth forums comprised of passionate young men and women who want to evoke change in their community. Ekram Abdullah, only 19-years-old, spends her free time attending workshops and youth forums at the Busira Youth Center for Females to fuel her passion for justice and equality. Ekram, a recent high school graduate, initially got involved to acquire knowledge on women's rights so she could then disseminate that information—making other women aware of their rights in government and society. "Many things are not allowed for women because of the careless intentions and limitations people put on women," she said. "Women must work to erase these limitations." She derives her passion for promoting women's rights and gender equality from her personal experiences, and the support she receives from her mother and seven sisters. Ekram said she sees change occurring slowly in her society. One change she has particularly noted is the decrease in early marriages, which is something she is familiar with from her sisters' experiences. "The increased participation of women in society has helped women be more accepted in different spheres of society regardless of the old traditions and old ways," Ekram said. She hopes to continue to learn more about women's rights and gender equality, and would like to one day serve as a trainer in the program. Her participation in NEF’s project to promote gender equality in Tafilah has helped expand her knowledge and encouraged her to confidently be able to advocate for her rights and the rights of women in general. "Thanks to this project I now know the real rights, how they can be applied and attained by women, and how to encourage women to raise their voices to advocate for their rights," she said. Within six months enrolling in the project, Ekram has taken the initiative to help forum trainers coordinate skits on topics pertaining to women's rights, such as education, women in society, and early marriage. "Although I feel like society is often against me in trying to spread advocacy for women's rights," she said, "I will continue to raise my voice." 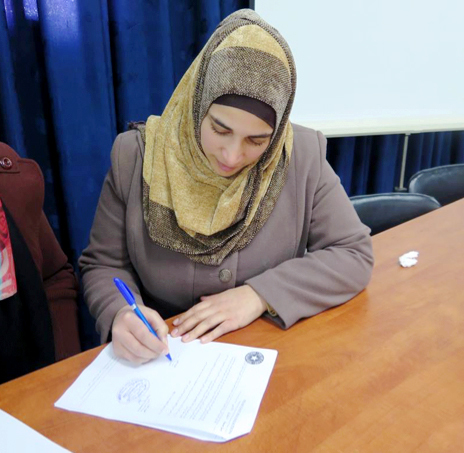 After meeting at a NEF business development training, the Ahlam and Maisoon, two Jordanian women, decided to merge their kitchen appliance businesses to increase their profit margins. “I think it is important for women to work because nowadays, with the bad economy, it is not enough for the father of the family to be the only financial provider,” Maisoon said. Ghosoun, a bright-eyed and demure 35-year-old Jordanian woman living in Zarqa, is now the proud owner of a clothing business. When Ghosoun first launched her business, with the help of a project-grant, she had difficulty marketing her products and attracting clients. Over time she learned to rely on word of mouth as the best form of marketing. Slowly, she built a client base through customer referrals—the majority of whom are her relatives, neighbors, and her sister’s neighbors. After attending NEF’s business development trainings Ghosoun has been able to expand her clientele. She also works hard to go out and seek new clients whenever she hears of a nearby female gathering. As a result, Ghosoun now brings in between 80 to 100 JOD per month in profit from her business. Ghosoun has built her business to serve her customers complete with a home delivery system, because her clients trust her to be honest with them about the quality of her products and fair price. Her clients like to buy from her, because they can get exactly what they want without having to contend with the hassle of going to the market or dealing with traffic and unfriendly merchants. In the future, Ghosoun wants to expand the variety of clothing she sells and hopes to buy more dresses made of better quality fabric so that she can sell them at a higher price and increase her profit shares. Love for her family inspired Mona Shalash, a Jordanian wife and mother, to join NEF’s project so she could learn the skills needed to start her own business. With a disabled husband unable to work, Mona is now the primary breadwinner in her home. Although her son and daughter-in-law do their best to contribute to the family income, they do not make enough money to support themselves and must rely on Mona to help make ends meet. With the grant money Mona received from NEF, she started a children’s clothing business. She sells primarily to relatives and neighbors, and is currently working to expand her client base through word of mouth. She says her clients are very dedicated to the success of her business and frequently introduce her to new customers. With the $250 profit she makes each month Mona hopes to be able to save enough money to open a children’s clothing shop, which would allow her to spend more time selling her wares and less time traveling from bazaar to bazaar. Nora is a grandmother of outward fragility and internal strength who was inspired to start her own chocolate business by watching chocolatiers on TV. “I was fascinated by how much you can do with chocolate, and I wanted to experiment with it,” she said. Nora lacked the capital needed to start her own business, but after receiving a start-up grant from the Near East Foundation Nora was finally able to launch her chocolate shop. Nora began selling her chocolates to family, friends, and neighbors. Despite the challenges presented by her age, Nora’s dedication to her business is palpable. In an effort to increase her clientele, she also sells her sweets at the local market. 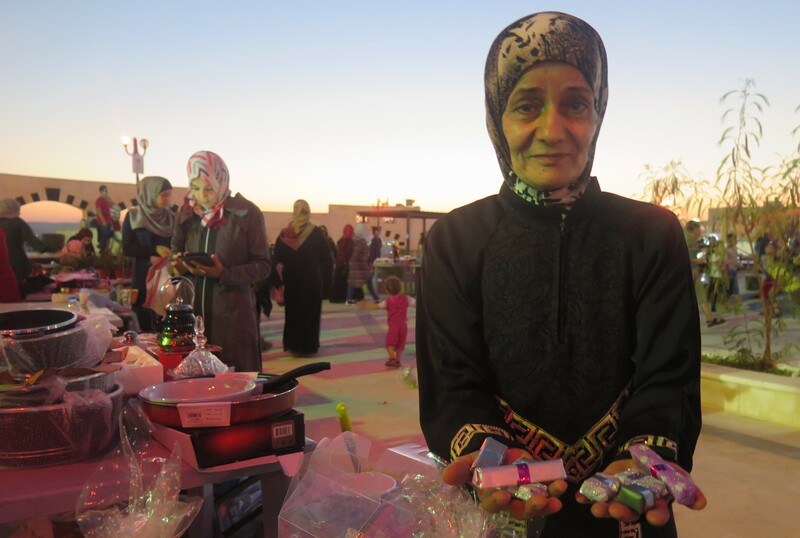 There she displays intricately wrapped packages of home-made chocolate covered nuts and other mouth-watering treats—made with the high quality chocolate she is able to purchase with the project grant. She notes that the quality of the wrapping and the presentation of her products are just as important as the quality of the chocolate. Looking toward the future, Nora wants to expand her business and make chocolates for major celebrations and holidays and sell chocolates at shops and airports. Although she is no longer able to leave the house as frequently as she would like, her will to succeed allows her to overcome physical obstacles. Despite the challenges of running her own enterprise, Nora is thrilled about the opportunities her chocolate business has given her family. Asma and her family are from Homs, Syria. After their home was destroyed in 2013, she, her husband, and their three children fled to Jordan where they now reside. Like the majority of the five million Syrian refugees who seek refuge in neighboring countries, Asma’s family chose not to remain in a refugee camp and moved into a low-income neighborhood in Jordan’s urban sprawl. Although she and her husband found informal work cleaning houses, cars, and cooking for neighbors, they were unable to earn enough to meet the family’s basic needs. Today, she and her family are financially stable and Asma is operating a small cooking business. Her prepared meals and catered goods have gained a reputation in her neighborhood and demand for her product has grown, allowing the family to pay down their debts and meet their needs. Asma was able to get her in-home business started after received business and financial literacy training, ongoing mentoring, and a cash grant from NEF's livelihoods program in Jordan. Through trainings she learned how to develop a business model, market her products, interact with customers, set prices, and enter into new markets. With the project grant, she purchased a refrigerator for food preservation, giving her as she says, the “push” she needed to get started. Asma’s household has seen a 50 percent increase in income from her in-home cooking business. Her customer base continues to grow, and she plans to invest in additional equipment and another refrigerator to keep up with increasing orders. On how this experience has impacted her, Asma said, “I have a stronger personality now. I want to make sure my product is perfect, unique, and different from the other products in the markets.” She has gained confidence and independence, especially with regard to decision-making on where to spend money, saying, “Now if my kids ask anything from me, I can do it.” The family has now started to save some money for the future and emergency expenses which brings Asma and her husband great peace of mind. “Why should we be weak", says Asma, "we should be strong and able to face challenges. Why? For us, for our children, for the generations to come. We must persevere." With NEF’s help, Fattoum is receiving training in small home-based business development and urban agriculture so that she can grow fruits and vegetables at home. Women’s participation in the labor market continues to be necessary for helping reduce poverty and drive the economy as a whole. NEF assists Syrian and Iraqi refugees, and vulnerable members of their host communities, to achieve self-reliance through urban agriculture, small business development trainings, peer support networks, and savings and loan associations. Vicky, a Syrian refugee now living in Lebanon, is a married mother of three and the proud operator of a successful catering business that she runs out of her home. "We were sitting at home, my daughter and I, when a fired propane gas cylinder fell on our balcony causing all the glass in the room to break. Pieces of broken glass passed in front of our faces, but thank God we were not hurt. It was not a happy time. We got our bags and escaped to Lebanon." After a number of months in Lebanon, Vicky's husband was able to find work. However, Vicky needed to find a way to also earn an income to assist with paying off the debts they had accrued, while still being able to stay home with their 10-year-old daughter. Vicky focused on her love for cooking and catering, and attending an NEF business development training as a part of NEF's project aimed at building the economic resilience of Syrian refugee and vulnerable Lebanese families. When explaining what she was able to gain from the training, Vicky said "There are some very important things that I was not aware of, like how to do accounting, how to look after the business, and that accounting is as important as the product." With the cash assistance Vicky received upon approval of her business plan, she was able to buy enough ingredients and supplies to begin production and start expanding her business. "This project has helped me personally, because I was always afraid that I could never do this business, that it would not succeed here in Lebanon." She continued, "I began feeling stronger, because I saw this business could succeed, contrary to what I thought. If a woman is determined to d something, she can succeed in it." While Vicky hopes that they can soon move into a home that is in a better condition than where they are currently, she is proud that her and her husband have been able t pay off all of their debt and are now able to care for their family's needs. "We left Syria under circumstances of war." Rokan, a Syrian refugee living in Lebanon with her husband and daughter, shares her story after fleeing Syrian for Lebanon. "We haven't been back to our home since." "We came here and had difficulties finding housing. We lived with four families in one house. The second difficulty was work. Wherever I went, doors closed in my face," Rokan said. "But then I went to the Near East Foundation and they helped me. I know how to work, but lacked the equipment and the materials because I had no money. I chose to make confectionaries from home and I was surprised by the number of customers I found. NEF helped me regain self-confidence and peace of mind, which I had lost coming from a war zone. They help women see they have an important role and a right to participate in society. NEF is working with vulnerable women in Jordan and Lebanon to provide business and vocational training programs and cash-assistance to achieve economic stability. NEF programs have helped refugee households increase their income by 75 percent on average. After receiving training and support from NEF, Iman was able to start an income generating activity, providing tailoring services out of her home. 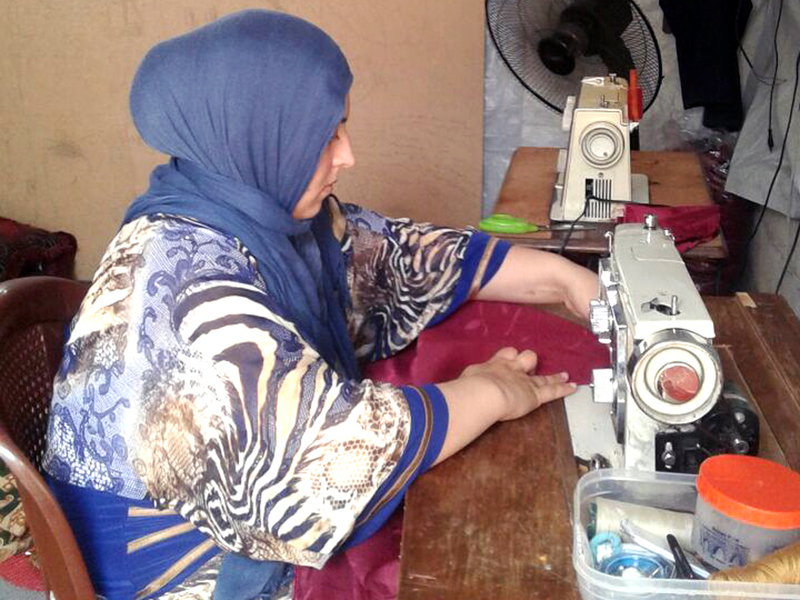 Within two months of receiving a project grant, and purchasing sewing equipment and materials, Iman earned enough to buy another tailoring machine because demand for her services was expanding so quickly. To accommodate the requests, Iman's husband is now working with her to continue the success of her activity. *Siraj Centers are community hubs established by NEF that provide services to help vulnerable people start home-based income generating activities or find employment in communities that host large numbers of displaced people. They function to help people build their economic resilience and achieve self-reliance through training, access to resources, and peer networking. "I am sixty-one years old and never owned a business of my own. Before the war in Syria, we had a small chicken farm for more than 15 years managed by my husband." 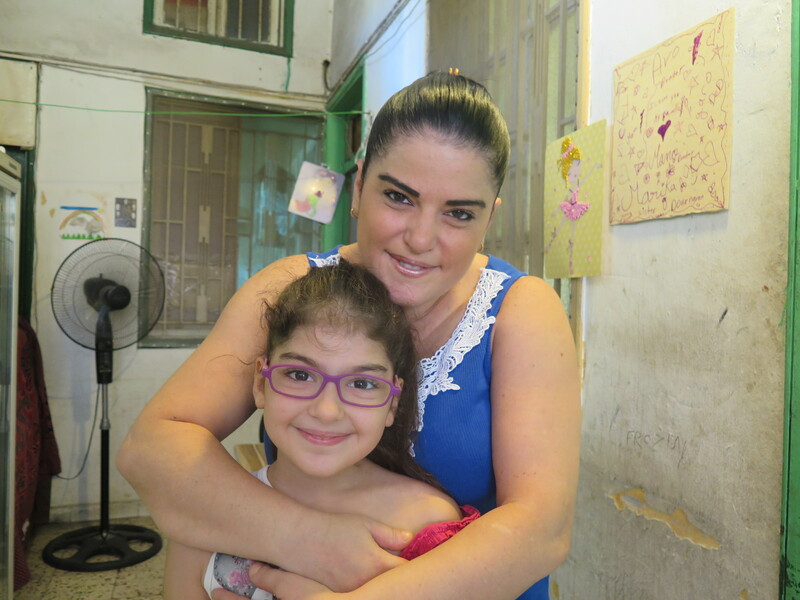 Fatima and her family came to Lebanon from Syria in 2012 to escape the war. They reside in a settlement camp, and because her husband has a disability that does no allow him to work, Fatima is the sole provider for her family. Before participating in NEF's livelihoods program, Fatima’s only income came from humanitarian assistance which amounted to less than 5 USD per day. This assistance ended in August of 2017. 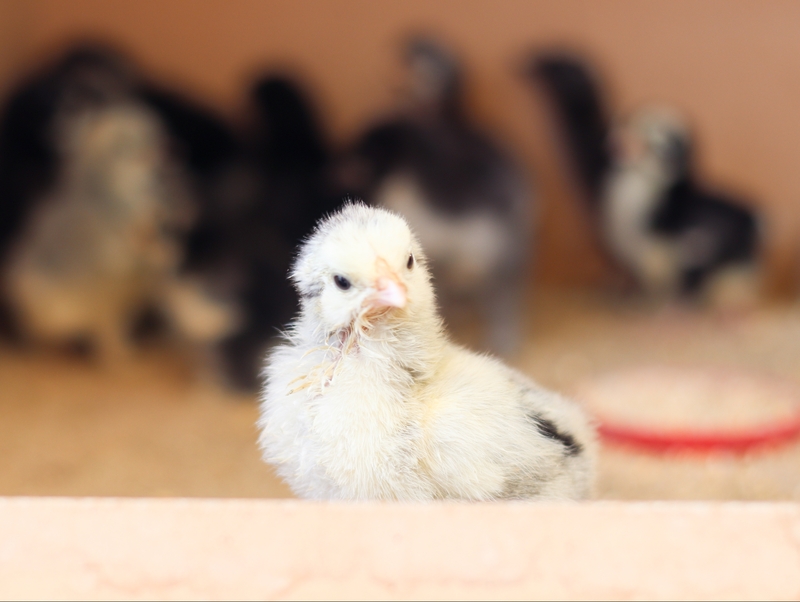 After receiving business development training, mentoring, and a project start-up grant, Fatima started a project raising and selling chickens - the same business her husband had back in Syria. Fatima is now earning around 300 USD per month and is able to support her family. "After starting my business, I started to feel happy after 5 years of staying in my tent doing nothing. Now, my neighbors buy my products, and I am better able to cover our living expenses, and support my husband who is unable to work because of his disability." Malak is a 26 years-old refugee from Homs, Syria. She came to Lebanon in 2013 during the war. In Syria, she was a housewife raising her kids, and never had to think about generating income to support her family. 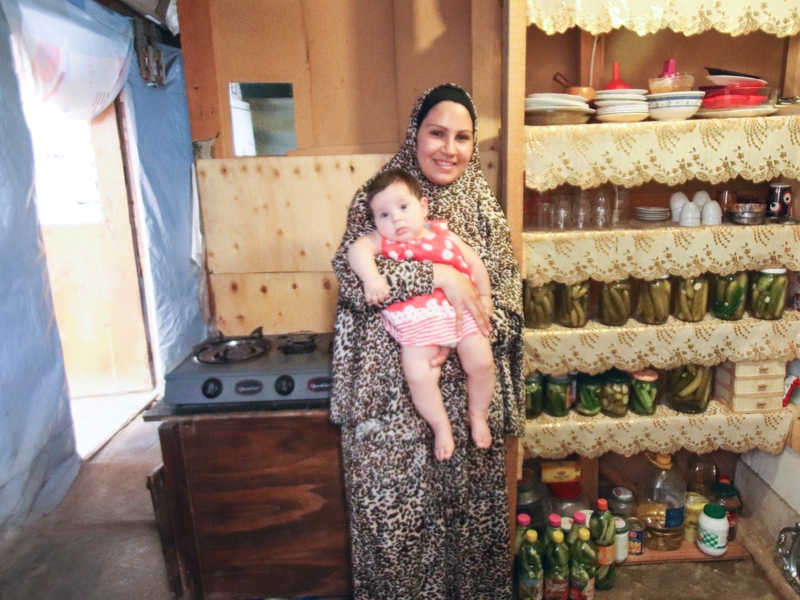 When she and her family settled in Lebanon, her husband was unable to work, so she tried to make pickles at home and sell them to neighbors in her settlement camp. Malak explains, "I failed for lack of start-up money until I started working with NEF." Malak attended a training on business development and how to write a plan for a home-based income generating activity. 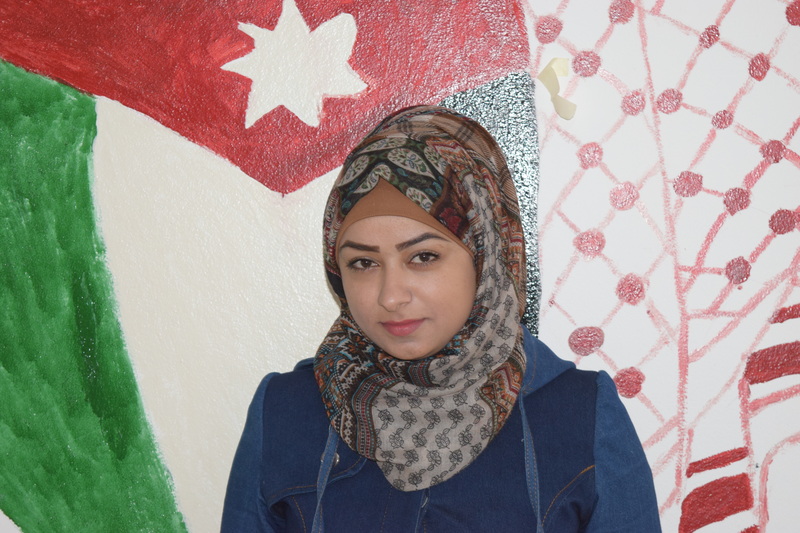 After submitting her plan, Malak was selected to receive a grant to start her activity. With the funds, she bought jars, ingredients, and a mobile phone to make it easier for customers to reach her. Prior to her participation, Malak was making around $30 per month selling her pickled goods. When NEF followed up with her a couple of months after she received the training and project grant, she was earning an average of $100 per month. The impact of this increase has made an enormous difference for Malak's family. Not only are they able to better cover their living expenses but it has given Malak a new sense of agency that she has never had before. "I’d like to sell my products in small grocery shops once I have proper labeling and packaging," says Malak. Malak adds, "What I experienced at the *Siraj center with regard to treatment and respect, I have never seen anywhere else inside other NGO’s. I am happy that I met Siraj staff and hope that the project will continue its work to support us [refugees] to develop these activities and improve our situations." Bagui, Mali – Magnata is a 43-year-old commercial saleswoman from Bagui. For 15 years, Sanata traded smoked fish and root vegetables to feed her family. As a widower, she depended upon income from her small business to educate, clothe, and feed her children. When political crisis struck Mali in 2012, Sanata’s family—like many in the region—was forced to flee the violence, leaving valuable assets behind. “I needed funding to rebuild my business, but local agencies were not loaning,” Sanata said. Then, with support from the United States Agency for International Development/Office for Foreign Disaster Assistance (USAID/OFDA), the Near East Foundation began implementing the Restoring Economic Capacity of Populations Affected by the Crisis in Northern Mali (RECAPE) project to address the immediate recovery needs of people in northern Mali to restore livelihoods and food security. Through the project, Sanata received a cash grant. She reconnected with her network of suppliers and distributors, replaced capital stolen in her absence, rebuilt her house using mud bricks in place of straw, and even purchased a canoe to increase her fishing activity. Today, her catch has recovered to pre-crisis levels, and she has enough money to pay for food and send her children to school. Cash grants have helped 1,900 people to begin to reestablish livelihoods activities after liberation from the takeover by armed rebel groups in 2012. Near East Foundation economic recovery agents provided guidance to grantees in designing (or redesigning) income-generating activities for rapid recovery. Project beneficiaries reported improved living conditions and financial autonomy, as well as increased working capital and economic activity. The U.S. Agency for International Development administers the U.S. foreign assistance program, providing economic and humanitarian assistance in more than 80 countries worldwide. A USAID/OFDA-funded early recovery effort in Mali provided emergency support to the livestock sector, benefiting pastoralists like Samba Allaye Dicko (pictured above) who were drastically affected by the takeover of northern Mali by armed rebel groups in early 2012. Supplemental feeding activities for livestock, the rehabilitation of 5 pastoral water points, and the restoration of 100 hectares of pasture have provided emergency support benefiting more than 100,000 animals and 5,600 people (more than 40 percent women). Samba Allaye Dicko–a 46-year-old father of 8 from N’Gouma, Mali–depends upon the annual rains to stock pastures with the grasses he needs to feed his herd. In better years, Samba and other pastoralists would travel north in search of verdant pastures and divide rangeland to avoid overgrazing. When political crisis struck Mali in 2012, insecurity on the roads taken by Samba meant he had to graze his 190 cattle on the outer limits of his village. Weak rains meant that there was little feed to share. To make matters worse, security considerations forced shopkeepers to raise the price of animal feed supplements and other goods to cover increased transportation costs and lapses in supply. With support from the United States Agency for International Development/Office for Foreign Disaster Assistance (USAID/OFDA), the Near East Foundation began implementing the Restoring Economic Capacity of Populations Affected by the Crisis in Northern Mali (RECAPE) project. The project addressed the immediate recovery needs of people in northern Mali to restore livelihoods and food security—including those of pastoralists. The project intervened to mitigate the livestock food shortage, distributing feed supplements to hard-pressed pastoralists who could not afford to pay inflated prices at the local shops. NEF also rehabilitated 5 watering points that had fallen into disrepair at the height of the crisis. The project has helped more than 5,600 people who depend on pastoral activities to recover, by ensuring improved food security and livelihoods. A father of 4, Kaadi works hard to grow millet on the hills outside his home in the village of Bagui, Mali, in the commune of Korombana. Lacking irrigation and with poor rainfall, Kaadi’s production seldom was greater than 1 ton. With the installation of an irrigation system in 2005, farmers like Kaadi were able to make the most out of what little water was available, allowing them to stagger crop irrigation and ultimately increase their yields. From 2007 to 2012, the Tangura family produced enough food to meet its own needs and beyond. Kaadi was able meet all of his household needs and even sell rice at the market. He recouped the animals and equipment he had sold during leaner times. When political crisis struck Mali in 2012, rebels in the north roamed from town to town in search of homes and businesses to loot, vandalizing infrastructure in towns like Bagui. The irrigated perimeter in Bagui was destroyed. Then, through the support of the United States Agency for International Development/Office for Foreign Disaster Assistance (USAID/OFDA), the Near East Foundation distributed vouchers for food aid, fertilizers, and seeds to hundreds of households like the Tangura’s and worked with local leaders to repair vandalized infrastructure. Agricultural activity has resumed, and the local economy is slowly coming back to life. Along with others in his community, Kaadi and his family have begun to recover. Click here to listen to Kaadi's story. Douentza was the southernmost town taken over by the Islamists during the Malian crisis of 2012, and for months it was in the hands of the rebels. Cut off from the outside world, many people fled southward or to neighboring countries. Now, two years later, the majority of the population has returned home, and life is getting back to normal. However, traces of the crisis are still visible. Not just in tangible objects such as bombed out houses or cars, but mostly in the hearts and minds of the people who left and those who stayed behind. All have stories to tell. Stories they carry with them every day. This is Dikore Diallo’s story. In 2012, when the Islamists were closing in on Douentza, Dikore felt it wasn’t safe to stay, so she fled to Burkina Faso. Unfortunately, due to limited means, she could only take one child with her and left the other two with a friend. She didn't know anyone in Burkina, but fear of the jihadists drove her to leave town in haste. After a nine-hour bus drive, Dikore and her grandchild arrived in Ouagadougou, the capital of Burkina Faso, where their lives took an astonishing turn when they met a woman who welcomed them into her family. Although she had found food and shelter, Dikore didn’t feel at ease in Burkina because she had no way to earn a living. So after almost four months in Burkina Faso, she went to the market every day to beg for money to pay for the return trip to Mali. Instead of returning to Douentza, however, she made the fateful decision to go to Diabaly, a town near Ségou. Just before Dikore and her grandchild arrived in Diabaly, the French Air Force had started bombarding major Islamist towns in the north of Mali. As a result, hundreds of Islamists fled to Mauritania, not far from Diabaly, where they launched a counterattack. Fleeing the fierce fighting in Douentza, Dikore found herself in the middle of the Battle of Diabaly, which ruined the city and its population. It is strange how the most tragic stories are so often filled with hope. Dikore’s story is one of disability, struggle, tragic choices, violence, and severe poverty. But at the same time, it is a story of good people with good intentions, of strong women and open arms. It shows how small acts of kindness and generosity can have a direct impact on someone’s life, and that even when we think we have nowhere to turn, we are not alone. Amadou owns a small shop in the town of Douentza in the central region of Mopti. He mostly sells milk, soap, rice, and tea, but customers also stop by for oil and sweets, or just to chat. In addition to being a shopkeeper, Amadou farms a field just outside of town during the rainy season. It is not easy handling both jobs, but his family is supportive and helps whenever possible. Teresa is a kind and warm hearted woman living in the town of Douentza in the central region of Mopti. A great cook, she sells fried cakes on the side of road, creates delicious home-cooked meals, rice, and sauces to sell, and on occasion, caters parties, weddings, and funerals. Life, however, hasn’t been easy for Teresa, who lost her husband, her business, and her elderly mother during the political crisis in 2012. By the end of the crisis, Teresa found herself head of a household of seven children with no means of support. Luckily, she was able to slowly rebuild her life with the help of an NEF grant, which enabled her to restart her business and feed her family. Teresa also received sacks of millet, which she uses to create mouth-watering fare ready to be sold to hungry travelers. Mariam lives with her children and grandchildren in the town of Douentza in the Mopti Region of central Mali. Every day her family can be found along the side of the road selling mangos, coconuts, guava, coal, or soap. Although she is getting too old for sales, Mariam makes herself useful at home by breaking coal into small pieces and crocheting tablecloths to sell. During the recent political turmoil and armed conflict in Mali, all business stopped, so there was no one to buy Mariam’s goods. As a result, after the town was liberated, Mariam was left with no income and a loan from NAYRAL & NEF she could not pay back. But soon her life began to look brighter when she received an additional small grant from NEF that enabled her to restart her business and feed her family at the same time. The Northern region of Mali is still recovering from the strife and insurgency of 2012. You you won't find tension in the quiet village of Sobbo. This is where Hama Alaye Traoré and Moctar Dicko have their rice fields. Hama is Sub-Saharan and Moctar is of Arab-Berber descent. The tenions of the past year might as well be thousands of miles away. They are friends and partners, working together to tend to their crops, develop their land and to increase their incomes. Hama and Moctar saw the potential to raise fish on the unused portion of their land. Surrounded by rice fields, the location is a natural development and a good use of excess water. When they asked NEF for help, we sent out people to inspect the site, help develop it and help develop their business plans. Hama and Moctar worked hard to build the site and worked alongside NEF to develop the local infrastructure to facilitate Sobbo's development. Their new fish farm increased the diversity and amount of food they can grow, which now includes native fruits and other small crops they grow on the edges of their fish pool. The project also increased their incomes, not only using the fish as a source of income, but the new roads and other infrastructure helped open access to new markets and allow Hama and Moctar to seek the best prices for for their fish and rice. They now plan to reinvest their new incomes into their rice farm and continue to develop their fish ponds. They are both very excited and happy about their new developments and were very proud of everything they accomplished with NEF's help. They are grateful that NEF was willing to work as much and as hard as they were to better their lives and farms and hope to work together more in the future. Amba is a small village on the Gao road, north of Sévaré. The locals at first scoffed at the idea that trees could grow in the Sahel, the semiarid region between the flowing sand dunes of the Sahara Desert and the lush grasslands of the West Sudanian Savanna. They had been farming in this region for generations and had never seen anything like it. And yet, in Amba, there is a grove of trees belonging to a local farmer and NEF partner, Engléy Guindo. Engléy was willing to believe with a little hard work and persistence, that trees could grow. NEF provided training and supplies, as well as a small grant to get Engléy’s grove started. And grow they did. First he planted Baobab and Eucalyptus trees, because they grow quickly and new trees will grow from the stumps when the trees are harvested. A eucalyptus will grow six to twelve inches in just a year. The whole process of growth and harvesting good wood for market takes just four years. The fruit of the Baobab has more calcium than spinach and more vitamin C than an orange. The leaves of both are also used in foods and sauces. Engléy’s groves has improved the diversity of his food and his access to it, as well as increasing his income from selling the leaves, fruits and wood. The wood of the Eucalyptus is very valuable at markets in the country. Soil and water conservation are very important in the Sahel. Desertification is slowly creeping up on parts of central Mali and the effects of climate change are felt all year long, especially when the seasons change. The region has recovered from the 2010 Sahelian Famine, but improving the management of resources and access to food is a top priority of NEF’s work in Mali. More tree growth projects are underway in other areas of Mali, like Tété and Mbessena. The locals in Mbessena were also skeptical of growing trees, but when one farmer like Engléy Guindo took the chance to grow one hectare and succeeded, the others joined in. A few short years later, Mbessena has 36 hectares and a wide increase in local incomes. With the help of trees like the Eucalyptus and the Baobab, combined with the hard work and dedication of the people of Mali, they will slowly but surely reclaim the desert. Fatoumata Traoré is a resident and entrepreneur in Konna, Mali. She has been selling fish for twenty-five years. One of the central challenges in Fatoumata’s business is the need to keep the fish fresh while she transports them to market. Fatoumata often needed to pay for repairs for her refrigerator or to purchase ice so she did not lose her product. Through Nayral, NEF’s microcredit bank, Fatoumata received a loan to ensure that she has enough money to pay for refrigeration. She has also purchased two trucks so she can sell fish in Konna and in other cities like Bamako. She is now able to support herself through her business. She has hired seven men and five women to work for her, including some year-round workers. In the future, Fatoumata wants to expand her business by buying an additional truck to transport other people’s fish, as well as her own. My name is Samba Diallo; I’m 55 years old, married, and the father of 7 children. I’m a son of the village of Déri in Djaptoji. I am also now president of the planning committee for the microirrigation project of the MIG 2 group here (there are three MIGs managed by three different groups). Until 1994, I was satisfied with the few crops that can be cultivated in dry climates—notably millet, which we grow on top of the dunes. With the scarcity and poor division of rainwater, my annual millet production over the past twenty years rarely exceeded a ton; this didn’t allow me to meet the needs of my family for more than 3 of 4 months at most. In order to bring in enough food, I often had to leave my children for months at a time to go work in Mopti or Bamako. Twenty years ago, Deri was the most deficient in grain of all the villages in the Djaptiodji region (which includes 62 villages in total). In 1994, NEF, with the goal of helping the village adapt to climate conditions that are getting more and more difficult every year, proposed that we develop a micro area of 6 hectares originally; a second of 6 hectares in 1996, a 3rd of 8 hectares in 1998 and finally the extension of a the whole developed area into a 42-hectare plot in 2004. Thanks to this, my village has become the most productive in the region; we grow more than 250 tons of rice annually, and now we’re even attracting a lot of laborers from elsewhere in Mali. For my own part, I now have parcels of land that now total about 1 hectare, in which I grow more than 6 tons of rice annually. After 5 years, I grow more than enough food for my family: I don’t have to travel to find work, and I can afford to buy my own animals and agricultural supplies (carts, plows, etc.) with the proceeds from my excess rice. I’m not rich, but I have everything I need to maintain a good life for my family. Today, thanks to NEF, we are well organized in cultivating our village’s agricultural land and trained in infrastructure management and stocks. The impact of this training is visible in all parts of the village: tools, vehicles, animals, etc.—all things that would have been a dream 20 years ago. We have also noticed with great satisfaction the reinforcement of social ties between inhabitants of the village and its neighbors. My name is Samba Maiga, I’m 60 years old, and I was born and raised in the village of Monuwel in the region of Gandamia near Douentza. I’m married, the father of 8 children, and a farmer. In 2006, our village received support from NEF for managing rice cultivation through the collection of rainwater. As the main organizer of the village association’s activities, I’ve been involved in every stage of mobilisation for the extraction and transport of rubble, and the construction process. It was really with NEF’s encouragement that I began cultivating rice—before this, all my production was based in millet, and I bought rice to eat at the market in Douentza. Now, the rice production has yielded me more than 2,000 kg annually ; I eat a part of that, and sell the rest to cover my family’s expenses : I have two children in school, and currently I have no problem providing for their food and school supplies : rice flows readily, and whenever a financial need arises it is quickly resolved. This has greatly ameliorated the condition of our life and made us far less vulnerable than before. I should also note that I have learned a lot about techniques for producing rice and its various varieties ; and these have made my life much more tranquil because rice is far more reliable and easy to grow than millet. Every year we add to the amount of cultivated land and gain more expertise as our experience increases. Finally, I would also like to remark on another other positive effect of our new training : the use of purified sea water to augment the levels of our subterranean water supply, which was dwindling alarmingly before we learned to manage it better. Climate change is challenging farmers all over the world. Abdellah Haji struggles to produce fruit, vegetable and cereal crops in arid Hamam Fougani (Figuig Oasis) in the Oriental Region of Morocco. NEF and USAID are working together with local partners, ACAF and AMAL, through our Agricultural Water Management project to raise awareness about water conservation and to introduce farming techniques to increase productivity and individual incomes while using less water. An active participant in AWM trainings since 2011, Abdellah adopted a range of new agricultural and water management practices, resulting in an overall increase in income of 14% over the project’s first year. In Hamam Fougani and three neighboring Figuig villages, 192 project participants surveyed at the end of the 2011-12 growing season reported average income increases of 14% from vegetables and 18% from dates as a result of these new techniques. The results of Abdellah’s new production techniques were very encouraging. His corn leaves are larger and greener than in previous years and the date palms have produced more dates early in the growing season than in previous years. Traditionally, Abdellah and other Moroccan farmers pollinated their date trees in May. However, the change in climate has resulted in warmer temperatures and a shorter winter season, leading to a divergence in pollen production between male and female tress and throwing off traditional practices. Through the AWM project, Abdellah and his neighbors have learned to pollinate by timing it with temperature. Abdellah pollinates in early spring and sees significant results at this early stage. Changing the timing of pollination is one of several ways Abdellah benefitted from the knowledge he gained through the AWM project. He also now uses conservation and preparation techniques to conserve manure for soil enrichment during planting season. In tandem with this organic fertilizer, Abdellah began practicing crop rotation introduced through AWM training to manage soil fertility. In a single bed, he plants peas in the spring, corn (for forage) in summer and fallow during the fall. In other plots, he rotates potatoes, onions, and parsley. Now, having learned a range of techniques for using agricultural water more efficiently, he is making plans to install drip irrigation and already completed a study to place a pump for the purpose. Through the AWM project, NEF and local partners are training approximately 2,500 Moroccan farmers in simple techniques, like those adopted by Abdellah, to improve production and income and equip them with knowledge and tools to sustain agriculture in the face of a changing climate. Gradually decreasing water resources threaten to undermine the agricultural foundation of Morocco’s Oriental Region. Up to 60% of water is lost through seepage in the generations-old traditional canal irrigation systems. Through the Agricultural Water Management (AWM) project, USAID and NEF are working together with local organizations to introduce simple solutions to help farmers overcome water shortages in one of the poorest and most water-scarce regions of the country. Drip irrigation has enabled some farmers to reduce their water usage by 60% or more. For years, Tbatit Lakhder Mohamed needed three full basins of water to irrigate his parcel in the village of Laayat, where he typically grows peas, beans, and potatoes. After AWM training, Mohamed purchased and installed drip irrigation on the land. He now needs only one basin of water to irrigate the same parcel, a 66% savings. In addition, Mohamed has reduced the time and energy he spends filling the trenches between each planting row with furrow irrigation. In a community where people are cautious about taking new risks, he is serving as an example to his neighbors of how to mitigate the impact of growing water scarcity. Based on Mohamed’s experience, at least 20 others in his village are now mobilizing to install their own systems. Agriculture is the most important economic activity in the Oriental Region. There is great unmet potential to increase production by small farmers, allowing them to transition to market-oriented production and to increase their income. However, the impacts of climate change and of inefficient, labor-intensive traditional irrigation techniques present serious constraints to achieving this potential. Created for arid and semi-arid areas, drip lines are capable of delivering controlled amounts of water directly to the plant roots. Drip improves over traditional canal irrigation by reducing the volume of irrigation water needed in fields, eliminating water losses from concrete cracks or unlined channels, and avoiding problems associated with overwatering. Through AWM, NEF and its partners are training farmers in 22 villages about efficient water management. NEF and its partners train farmers in the benefits of drip irrigation and other low-cost water conservation techniques, encourages them to adopt new techniques, including drip irrigation,, and provide technical assistance so that they can install and operate new technologies effectively. Berkoukess-Figuig, a town located on the Moroccan border with Algeria, is economically dependent on the cultivation of date palms. This is also true for resident, Mohamed Nosser, a farmer who has recently experienced unprecedented success cultivating healthy date palms because of his participation in the Agricultural Water Management (AWM) program, a partnership between the Near East Foundation and USAID. Originally, Mohamed used a general NPK fertilizer product, and was not satisfied with the condition, or the profitability of his plants. He adopted the AWM recommendations with the hope of improving his crop. Mohamed switched to TSP fertilizer, and urea fertilizer, and added an organic fertilizer which provides better nutrition for the date palms. He began applying fertilizers at the base of the palm in a 1.5m x 1.5m x 1m area. Mohamed tried the AWM technique of drip irrigation to decrease water consumption and costs, and he tried a new variety of date palms, aziza. These were not techniques that he had previously employed. As a result of his hard work, and his use of these new methods, Mohamed Nosser’s date palms look better than ever. His trees are healthier, greener, and have more date growth at this stage of the year than they ever have before. Additionally, Mohammed’s farm has become more economically viable, and he is conserving resources more efficiently. Mohamed’s success has also had an impact on his community, and farmers from around Figuig, including Hamam Fougani, have visited his farm to inquire about his success. Mohamed can now encourage his peers to adopt his successful techniques, and thereby aid economic growth and responsible resource management across his community. Mohamed’s example is characteristic of NEF’s goals in the region of community driven responsible resource management, the implementation of progressive agricultural techniques, and shared success between individuals and communities. Fanna Aamoumi is 56 years old. She was born and raised in the village of Asseghmou in the High Atlas Mountains, and is now married with seven children. Fanna did not have a chance to attend school growing up, and didn’t learn to read and write until she took an NEF-sponsored literacy class at age 45. It changed her life. She has since risen to a plethora of leadership positions with her community, and become deeply involved in promoting female education through her local parent-teacher organization. She is president of her village’s development association and runs a 69-woman cheese-making cooperative, in addition to providing human resources support for NEF’s activities in her area. Saadia Sriar is 39 years old. She has lived in the Ennakhil slum in rural Oued Zem with her husband for the past 20 years and now has five children. She started her professional career working days in Casablanca’s factories and evenings weaving rugs, a skill that has been passed down through the generations of her family. However, after the birth of her first couple of children she had to quit working to take care of her family and help her husband with his job as a night guard. “I was working day and night to produce goods to sell around Casablanca at miserably low prices. I know that my products were worth more but I had no other choice, just like all the other women working in the slums for shoe and shirt makers. This experience convinced Saadia of the importance of women’s contributions to family budgets. “Do you know, when we bring money into the household it changes the way we are looked at. Women are more respected for taking part in the household finances and can then take more decisions within the family,” she says. Saadia met the NEF team in 2006, and eagerly took the opportunity to mobilize women in slums to create an artisans’ cooperative. She was quickly chosen for the presidency of the cooperative given her profile, her capacity and leadership abilities. 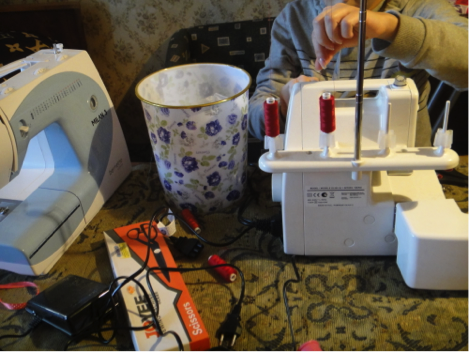 Despite her family obligations she has taken modern and traditional sewing lessons, which she is currently replicating for other cooperative members. She has provided assistance to all the training workshops organized by the local governance project, focusing on administrative and financial management, and trained in project start-up so that she would be prepared to manage the cooperative. Saadia is now firmly convinced of the success of the endeavor. “It is true that in the beginning, while the cooperative was being created some men underestimated women and said that this would not last. You have to know how to fight back and to develop know how,” she says. To promote the cooperative’s success and visibility, Saadia asked its members to organize an exhibition in June 2007, which proved to be a great success. Thanks to her will and courage, this ambitious woman has been able to set an example and give hope to other women in the slums. It was only September of 2013 when a young student finishing a Computer Programming degree became inspired to change her future. Carmen Dweikat always loved making henna artwork and took every opportunity to practice and perfect her abilities. She never considered starting her own business to do it full-time. 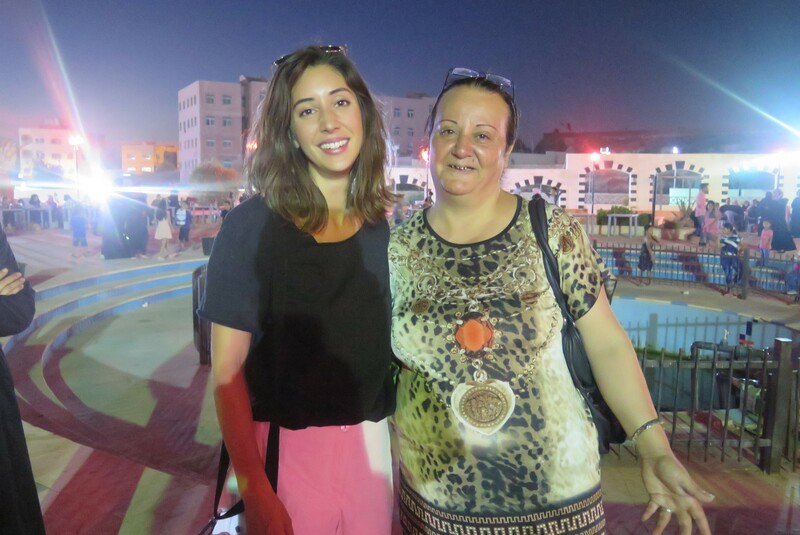 Carmen approached NEF through a local association, the Bita Womens’ Association for Development, where she volunteers. She liked the idea of a plan to support women’s business plans by first raising most of the capital and then receiving a grant from NEF and its UK-based partner, the Rangoonwala Foundation, which shares NEF’s mission of empowering communities through long-term sustainable development. In total, NEF is providing training to 200 Palestinian women entrepreneurs. The effort, which began in October 2012, aims to support the creation of 150 new businesses. On average, women entrepreneurs provide 75% of the start-up capital and NEF contributes the remaining 25%. The program allows Carmen and women entrepreneurs like her to make plans for the future. Other women participating in the project are pursuing businesses in a range of areas including small farming, baking, and retail shops. A few months ago, Latifa Qasim saw a great business opportunity in her West Bank village of Haris. She and other local women were traveling a few kilometers to a neighboring village every time they needed to buy spices for cooking. Latifa realized that there was a demand for these products in her community – and that she had the potential to meet this need. Less than five months later, Latifa turned her idea into an operational business with support from the Near East Foundation (NEF). Latifa applied to an NEF program that helps Palestinian women in the West Bank achieve financial independence and security by starting their own small businesses. NEF conducts regular training workshops for women in microenterprise development and business management, then assists them in creating their business and marketing plans. The women submit their own market studies, feasibility analyses, and budgets for consideration to receive start-up funding. Latifa testified to the effectiveness of the training sessions, saying “Learning accounting and marketing was so helpful.” With her skill of mixing spices and her new business training, Latifa started a spice trade from a small room in her house. She buys spices in bulk and repackages them for sale. In a short period of time, word about her spices and their high quality spread. Village women now save time and invest in their community by supporting Latifa’s locally owned business. Because of her hard work in market research and her own financial contributions, Latifa received a project start-up grant of $300 to launch her business. 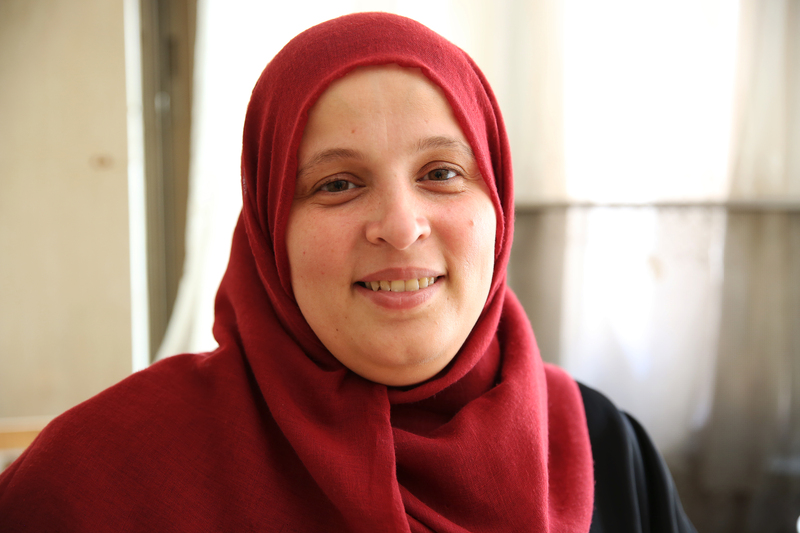 In total, NEF is providing training to 200 Palestinian women entrepreneurs like Latifa. The effort, which began in October 2012, aims to support the creation of 150 new businesses. On average, women entrepreneurs provide 75% of the start-up capital and NEF contributes the remaining 25%. This work is made possible by funding from the U.K.-based Rangoonwala Foundation, which shares NEF’s belief in empowering communities through sustainable, long-term economic development. Just because Latifa finished the program doesn’t mean her affiliation ends. Some of the most effective help NEF provides women is ongoing business coaching and continued support through its growing network of entrepreneurs. This fosters peer advising and mentoring among small business owners to help women like Latifa address emerging challenges and stay in business well into the future. Forty Palestinian women living in the Jordan Valley - each the sole income provider for her family - have increased their income by an average of $300 after receiving agricultural management training and support from NEF since January 2012. We helped the women launch their own businesses growing thyme, a traditional herb used across the region, in home gardens that provide a sustainable source of income while also allowing women to care for their families. Amneh is one of the women whose life has changed dramatically since starting her new business. She is raising her brother's children by herself and has used her earnings to buy school supplies and toys for her nephews. 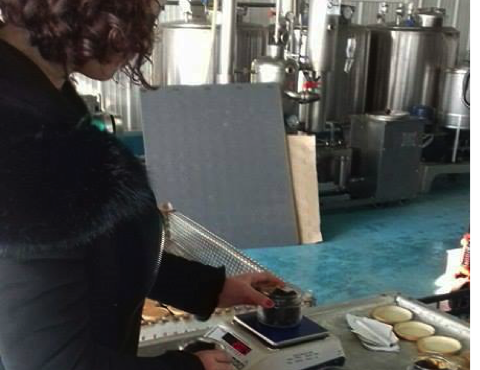 When Israeli olive oil producer Ayala Noy upgraded her mill to improve the quality of her oil, she never dreamed that one day it would serve as a model for Palestinian producers. However that is exactly what happened when she joined a USAID and Near East Foundation project to promote cross-border cooperation in the olive sector. 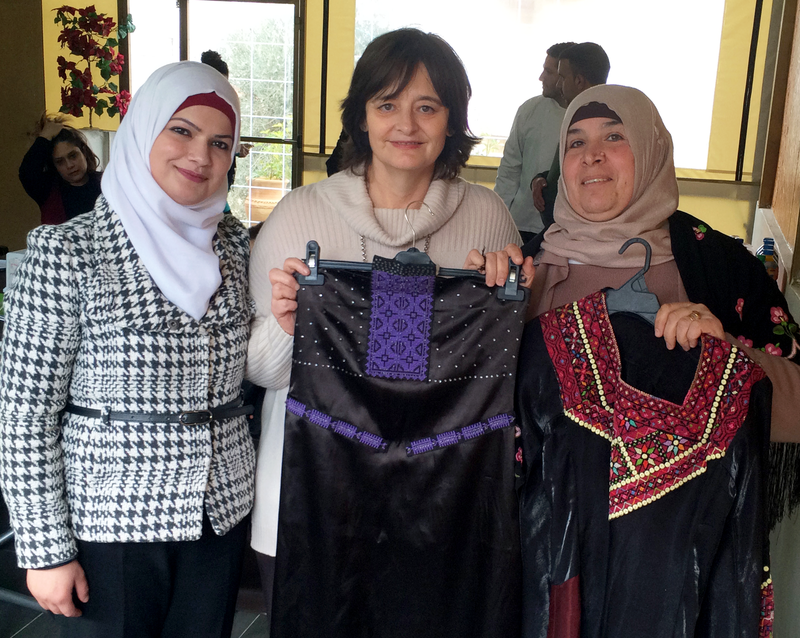 Ayala – an entrepreneur and woman business owner – recently invited seven Palestinians to her home in Nazareth. There she led fellow producers on a tour of her mill so they could see first-hand how she implemented simple, low-cost techniques that could also help dramatically improve their olive oil production. These technologies include cold pressing techniques, hygiene standards, quality testing, storage in nitrogen-sealed stainless steel containers, and organic certification. When the tour concluded, the Palestinians extended an invitation to Ayala and other Israeli producers to visit their mills in the West Bank. As project participants, 12 Palestinian and Israeli mill operators will receive support from USAID and the Near East Foundation to make similar upgrades that will increase the quality and quantity of their oil production. In the short term, these improvements will result in an increase in income for olive oil producers, greater market access for olive farmers, and increased opportunity for cross-border business initiatives. “While olive oil production is a critical economic industry for both Israelis and Palestinians, Palestinian producers have lagged behind because of barriers to the transfer of supplies and technical expertise,” said Salah Abu-Eisheh, Near East Foundation Director for the Palestinian Territories. The mill exchange is just one example of many similar project activities that are successfully helping to close this technology gap. By providing opportunities where people from both sides can gather to share their knowledge, the project offers industry leaders a way to build mutually beneficial relationships grounded in economic cooperation. NEF and USAID aim to work directly with more than 1,400 people over the course of the three-year project. This work will stimulate the economy in dozens of villages throughout the West Bank and Israel, as well as strengthen the regional olive oil industry. 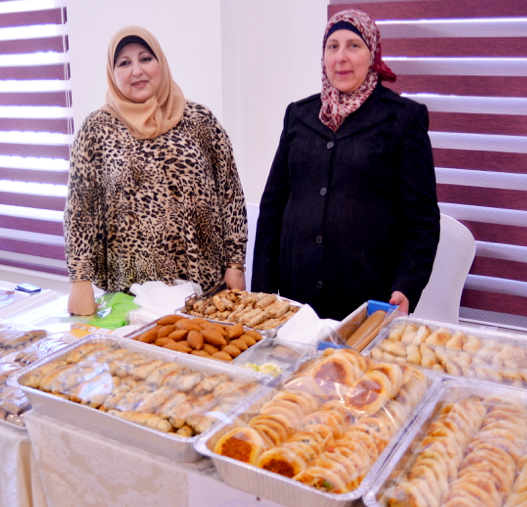 The Balata Women’s Society, located in the Balata refugee camp in the West Bank, is one of 10 women’s associations in Palestinian that NEF trained and coached to create small businesses in 2011. By the end of 2012, these women’s associations had set up 57 school canteens, which collectively created 168 jobs and generated $130,000 in revenue. The canteens generates income for association members, support the associations’’ charitable work, and sell healthy snacks to children in their local primary school, where many kids arrive hungry and malnourished every day. NEF is now working with an additional 16 women’s associations in the West Bank with the aim of creating 150 new businesses over the next 4 years. After 25 years as a refugee, Mohammad Sholi returned to his home in the Palestinian village of Asira to tend the olive grove he inherited from his father. Now 50 years old and with a successful career as a pilot behind him, Mohammad has distinguished himself as the producer of the finest olive oil in the West Bank. Mohammad first became involved in the Near East Foundation's olive sector work in 2007, one of 450 farmers who worked closely with NEF to improve and expand Palestine’s burgeoning olive oil industry. As a participant in the program, Mohammad attended workshops and training to learn how to derive the highest possible olive oil yield from his crops. He also benefitted from the equipment and tools that NEF distributed to farmers to control parasites, which often infect olive fruits during the harvest season. Mohammad applied the techniques he learned during training and quickly learned that they were capable of producing extraordinary results. The olive oil he produces has been certified by the Palestinian Ministry of Agriculture as possessing the lowest levels of acid and peroxide among the oil samples they have tested. He also increased his production by 25 percent compared to famers who did not participate in the NEF program. "I produce oil for distinct consumers who take care of their health," Mohammad says. The fame that his olive oil has received for its high ratings has allowed him to sell it throughout the area at very competitive prices, and to continue to expand his business and crops. NEF’s work in the olive sector in Palestine has focused on six clusters of West Bank villages, including Asira, that collectively produce approximately six percent of the annual Palestinian olive crop. Many international and local organizations have worked in the Palestinian olive sector, but NEF has been particularly successful due to our unique strategies, building on long-standing partnerships with local communities. NEF has targeted all aspects of the olive oil value chain, including pre- and post-harvest procedures and marketing, in order to give the Palestinian oil producers the competitive advantage they need to succeed in international markets. When Jameela’s husband unexpectedly died at a young age, she was left to single-handedly provide for her four young sons. 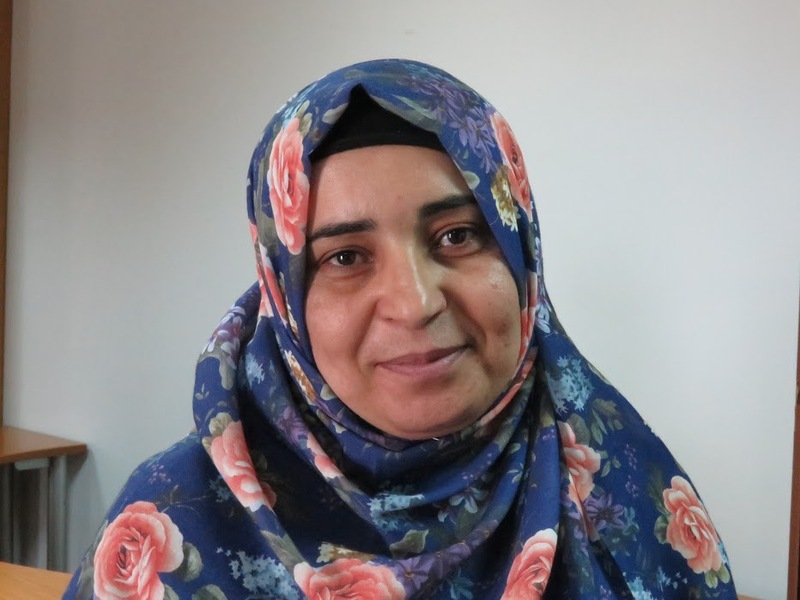 Jameela, from Al-Azaa refugee camp north of Bethlehem, decided to turn her embroidery hobby into a small home-based business as a solution to support her family. Jameela’s reputation and recognition for embroidery work quickly grew in her community, creating a higher demand for her products. With a desire to expand her business to meet her increased demand, Jameela signed up to receive six months of NEF’s business development trainings and one-on-one coaching. She received training in business and financial management, branding, and marketing. Although she had owned her own business for several years, this was the first business development training Jameela had received. Through the program, she was able to participate in local Bazaars to market her products and network with other people who were also a part of a similar line of work. At the Bazaars Jameela gained the attention of a large number of tourists every day—increasing her profits by 30 percent. Today, Jameela’s business is well known in Hebron and Bethlehem. Along with improving her and her family’s life by turning a small home-based business into a successful embroidery shop, she also employs 15 women—mainly widows—providing them with sustainable income as well. Fadia, a university student from Hebron City and a divorced mother of three, created her own small home-based business—Wonder of Paper—which repurposes scrap paper into art pieces such as sculptures, toys, accessories, and various decorations. For Fadia, the challenge of being a single parent and soul provider for her family made establishing her business that much more difficult. Despite this, Fadia succeeded in starting her business while completing her studies in “graphic design”. A few years after the launch of Wonder of Paper, Fadia heard and signed up for NEF’s program. As a result of the trainings, Fadia developed an improved business plan, which led her to later receive a project supported grant. Through this grant, Fadia was able to invest in equipment that more efficiently met the demands of her business and shortened the time she spent handcrafting her products. She was also able to hire four female university students to help her, which in turn allowed them to embark on their own path to financial independence. Today, Fadia’s business has grown to the point where she is able to support her family and pay her university loans. She hopes to continue to expand Wonder of Paper, and soon host a summer camp at her store to teach children different forms of art. Fatmeh, a 48-year-old woman from Ramallah city, went from being a chef at a university cafeteria for 14 years to owning a small catering business and expanding it into a café. When she first opened Em Sameer Kitchen Fatmeh could only provide food for pickup orders because her store’s location didn’t include a sink, chairs, tables, or a refrigerator. After receiving training in marketing, product development, branding, and financial management, Fatmeh submitted her improved business plan and was awarded with a grant and loan of $3,400. 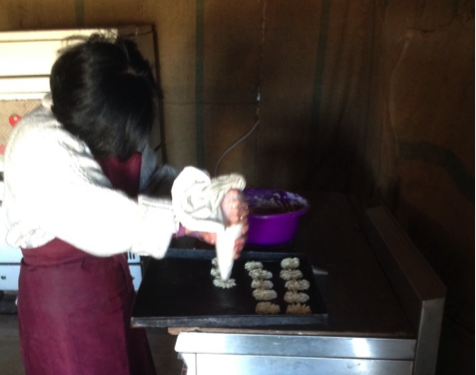 She purchased refrigerators and raw food materials helping her to increase production. Fatmeh still continues to participate in NEF’s project—but this time, she works as a mentor for a different group of women entrepreneurs who want to see their businesses flourish. Through the improvement of her business model, Fatmeh’s business has substantially grown requiring her to hire additional employees to keep up with the café’s demand. Dana graduated from An-Najah University with a degree in education methods in 2015, but was unable to find a job in her village of Sabstyia in the West Bank due to the high level of competition for teaching positions. To keep her skills sharp while seeking employment, Dana decided to volunteer at a local school where she introduced new teaching methods through creative activities and games for children. When she learned about the Near East Foundation’s Palestinian Women’s Microenterprise Development (PWMD) project funded by the Rangoonwala Foundation, she saw an opportunity to turn her passion and experience into a business endeavor—an alternative teaching center. She submitted an application and completed the project’s five-day training course. Dana’s business was selected by the project's steering committee to receive a grant to help her launch her innovative education center for children. With the grant, Dana was able to recruit and hire another young woman to help her open the learning center, which she aptly named Fun to Learn. Initially Dana faced challenges in launching the center. Some parents were resistant to the new and unconventional methods it was implementing. However, after they saw the improvements in their children’s performance, the value of the center became clear. Parents have reported that their children have shown an increased commitment to their classes and improved grades, and have demonstrated a stronger desire to learn. Students are now encouraging their friends to join Dana’s center. “The grant from the project allowed me to cover some needs at the learning center,” Dana said. “I was able to continue and to not be afraid to implement any new ideas that contribute to the development of our society and awareness for our generation." Dana and her colleagues continue to make improvements to the center and are determined to show that one person can make a difference in many lives. Enrollment has steadily increased, which will allow Dana to hire on two or three recent education graduates over the next year. NEF, in partnership with the Rangoonwala Foundation, has trained over 300 Palestinian women in entrepreneurial and business development, and has helped launch over 140 businesses in the region. “This season I was able to grow more than 25 sacks of peanuts for the first time in my whole life,” shared a proud Haram Ahmed. A 55 year-old farmer from a village in Darfur’s Garsilla District, Haram is the mother of 12 children. It is a challenge for her to support her large family, and she has very little time to spare. Through a USAID/OFDA-funded initiative, the Near East Foundation (NEF) is helping Haram and other farmers to restore their agricultural production and earn more income.A new plow is one of the ways NEF assistance has changed farming – and life – in her village. “Before we had the plow we farmed by hand manually, which is slow and tiring,” Haram said. Now she and her neighbors save time and money by sharing the plow, which is pulled by a donkey – an animal they also share communally. Encouraging farmers to work together is another way NEF is helping communities recover from conflict and build resilient livelihoods to overcome challenges ranging from destruction of their crops and tools by fighting to prolonged drought. Haram and others started a “farm learning group” – one of 125 created with support from NEF and OFDA. Learning groups offer farmers opportunities to share both farm implements and best practices that result in increased crop yields. Water harvesting is one of these practices. Participating farmers received training in how to collect rainwater and reduce evaporation. Developing control over water resources has been a game-changer for farmers in an area where rainfall is totally unpredictable. With their new production and income, farmers like Haram are better able to support their families and build a more stable future for their region. More than 4,000 farmers – over half of them women – are utilizing new seeds and implements distributed through a USAID-OFDA funded initiative to restart agricultural production in Darfur. Through the conflict it was nearly impossible for farmers to obtain seeds and, without the ability to grow crops on their land, many people were forced to eat what seed stock they had to survive. Farmer Abdawahab Khatir Mohamed traveled with others from the Kadlingei Valley, who are all excited to return to work their fields, to participate in a week of project training before the seed distribution. They learned more efficient agricultural production techniques – including how to properly use their seeds and store them for the future. “We used to think that when you are planting, putting more seeds in one hole can give you more plants. From the training workshop we discovered this is incorrect,” said Abdawahab. Following the training, they received vouchers to exchange for seeds – at no cost – at seed fairs organized by NEF. In total, the project has organized 13 seed fairs for beneficiaries from 23 villages. Through the fairs, 252,400 kilograms of seeds and 2,950 tools have been distributed. “Every farmer in the seed fair was given the freedom to choose the types of seeds they wanted according to the type of soil they have,” said Abdawahab. Abdawahab said that giving farmers control over the selection process, and not forcing them to take a particular seed variety regardless of their needs, is just one of things that has already made the project more successful at helping people rebuild than previous recovery efforts in their area. Whenever possible, the seeds are sourced nearby to help local producers expand their businesses and to put more money into rebuilding the local economy. The seeds are randomly tested and only those with high germination rates are approved for sale. Most recently, 500 farmers received vouchers valued at SDG 330 each for purchasing certified seeds of vegetable crops including tomatoes, onions and broad beans. This amount is enough to plant an area of 3 feddan. These vegetables are planted during the winter season and are primarily used as cash crops for increasing household income. To help farmers have the most productive yields possible, the project sends extension experts to the field to provide technical support in planting and harvesting – which the farmers will continue to receive through the next growing season. Because they feel engaged and supported in every step of the process, Abdawahab and other farmers believe that this initiative is their opportunity to change their lives for the better today and it is giving them hope for the future. Zahara Eltreih Adam, a mother of 5, has found a new way to earn an income – and help fellow returnees get back to work in her Central Darfur village. Zahara is one of 25 people trained to become paraveterinarians through a USAID-OFDA funded initiative, which is contributing to successful early recovery in an area where agriculture is the main source of employment. The lack of access to veterinarian services during recent conflict resulted in large-scale animal mortality and in many cases eliminated income from livestock such as goats, sheep, and cattle. Through the project-led trainings, “paravet’s” develop the skills to treat livestock diseases and tickborne illnesses, as well as the ability to provide preventative services such as vaccinations, meat inspection, and guidance in good animal husbandry practices. Participating paravet’s also receive medicines at no cost to use in treating animals. Immediately after receiving the three-week training, Zahara began diagnosing and treating the animals of her neighbors. Over time she is growing more confident in her abilities, and she has started to charge a small fee for treatment. With the 10-15 SDG fee per animal, she expects to earn an income from her services into the future – and be able to support her family without outside assistance. “I am very happy to receive this training and gain skills that no women have received in my area,” said Zahara in expressing appreciation for her newfound skills. Paravet’s like Zahara are helping livestock producers throughout their area get back to business by providing services animals need. Unlike private veterinarian clinics, which are expensive and located a distance away in large towns, the paraveterinarians offer more affordable prices and have flexibility to travel to tend to animals in the field. Most of the paravet’s have a nomadic background, and all have certificates of a secondary education. They receive coaching in skills to manage their finances and operate veterinary businesses, so they can achieve self-sufficiency while helping rebuild their communities. This season Mudathir’s harvest was five times larger than his last crop. He was able to achieve this extraordinary increase by implementing the new IPM techniques that he learned through the USAID-OFDA funded initiative, which is helping communities successfully transition from receiving relief to early recovery in Darfur. Through the project, farmers like Mudathir are learning to fight common pests – such as grasshoppers, locusts that destroy germinated plants – as they resume agricultural production in their villages. Mudathir grows millet on a 6.5 Feddan farm in Khor Ramlah village. When grasshoppers began to infest his millet this season, he was prepared to respond with the IPM techniques he learned in training. First he applied a mechanical control practice of removing harmful weeds that harbor grasshoppers - including parasitic species like striga hermanthica, commonly known as “budda.” At the same time, he applied practices for natural protection – which include the early sowing of crops. As a result of these combined efforts, he was able to nearly eliminate the locusts. The impact on Mudathir’s harvest was dramatic. This season he produced 10 sacks – or 400 kilograms – of millet per feddan, as compared to 2 sacks per feddan last season. While farmers are often skeptical of new techniques, they learn from experimenting and from the success of others in their community. Mudathir’s neighbor produced only 3 sacks per feddan and hopes to adopt the IPM techniques next season after seeing positive results. Farmers like Mudathir are also receiving training in a variety of skills to resume and improve production, including best practices in irrigation and seed germination. Saba is one of 44 at-risk refugee women in Sudan who received business training and start-up grants from NEF to build a new life after war last year. Saba started a small restaurant outside Khartoum two months ago and has already earned enough income to pay for school fees, medicine, better food, and a larger place to live. She makes almost $100 in profits per week, but says that equally as important is the respect that she now has in a community that once shunned her. In South Kordofan and Darfur, NEF is working with several hundred women ex-combatants, smallholder farmers, and rural women to help them gain skills and access resources to improve and sustain their income. For many of his 58 years, Mahdi Abu Alhassan Ibrahim has farmed gum arabic in Alodiat Alshargia, a village in the Um Ruwaba locality of Sudan’s North Kordofan State. Until recently, Mahdi Abu had never received formal training in gum arabic production. Instead, he used traditional harvesting techniques, which in many cases damage Sudan's gum forests. In 2011, Mahdi Abu participated in the Near East Foundation’s Sustainable Gum Arabic Production project. He benefitted from trainings offered to the gum arabic producer association to which he belongs. The trainings provided him with new techniques and skills for harvesting and selling gum arabic. Mahdi Abu now uses improved tools for tapping which leave smaller cuts in his trees—preventing infestation by bugs and the early death of this valuable resource. He learned how to collect, clean, sort, dry, and store gum arabic seeds for future planting. By improving the way he stores harvested gum, Mahdi Abu is now collecting a higher price at market--which has increased his family’s income. The semi-arid Sahelian region of Sudan is highly vulnerable to drought, land degradation, and famine. The new skills and increased revenues resulting from NEF trainings are having a significant impact on families in the region. The project also encourages planting of new gum arabic trees, which provide an important barrier to the encroaching desert in places like Mahdi Abu’s village of Alodiat Alshargia. Hosna Abker Ahmed Ismail, 34, is a farmer in Abu Hamra, a village in Sudan’s Um Ruwaba locality of North Kordofan. Until last year, she tended a small garden and helped in gum arabic cultivation—tapping trees to produce this marketable gum. Like many women in this poverty-stricken rural area, she struggled to find fuel for cooking and the resources to feed her family of eight. Over 2011, Hosna Abker has participated in the Near East Foundation’s Sustainable Gum Arabic Production project—a project that has changed her life. She joined in trainings, participated in discussions, and benefited from the project’s microcredit funds. Through trainings, Hosna Abker learned how to use better tools for tapping (the sonki). She learned how to properly collect, clean, and store gum to retain its highest value; she also learned how to sort, dry, and store seeds for future planting. She learned the environmental importance of the gum arabic forests. 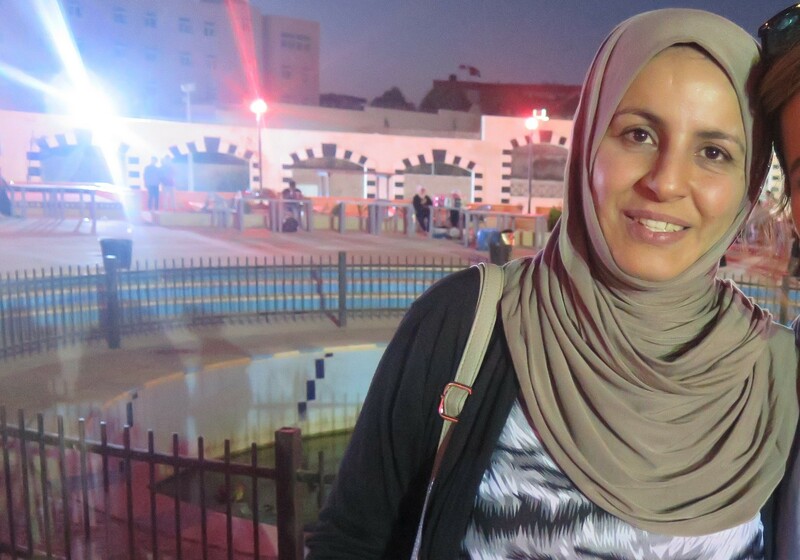 Based on her new knowledge, Hosna Abker no longer wanted to have to cut gum arabic trees for fuel. She applied for a microcredit grant to purchase a butane gas cooker. This cooker lasts for several months, and allows her a number of extra hours each day – time she previously spent collecting wood. She now spends more time with her children, and more time helping with other income generating activities – tapping trees, working in her garden, and improving her family’s livelihood. With her new knowledge and resources, Hosna Abker’s outlook has changed. She has more hope for the future. “Before the trainings, I just cared for my garden,” she said. “Now I will improve my life through agriculture, gum arabic, and micro credit projects. I will do more to increase my activities in the future, so as to improve my life, increase my family income, and achieve my hopes. Fatma is 22 years old and lives in Ramallah, one of the older settled villages in the Dar El Salaam El Rabwa area. 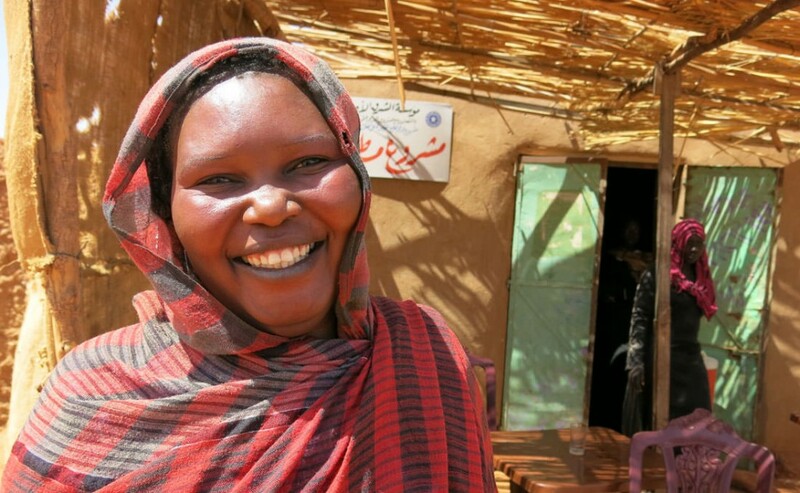 She is originally from the El Fasher area of Darfur, and has been married twice. She has one child by a first marriage and two children by a second. Her eldest is seven. Fatma’s first husband, a painter, died unexpectedly while working – presumably of a stroke or heart attack. Now remarried, she gave birth to her next two children at home, assisted by a local midwife. When she became pregnant with her second child, Fatma began attending the Community Health Center’s ante-natal program. Her eldest daughter - now seven years - attended the program with her. She received regular examinations and periodic treatment for minor illnesses. Fatma wanted to have her last child in the center’s new delivery room but things didn’t work out exactly as planned. She went into labor on a Friday and arrived with her family and friends at the delivery room only to find it closed for the weekend. Unable to travel further, Fatma sought out the center’s midwife and she delivered her baby at home under the midwife’s careful supervision. Fatma is happy with the attention and services she receives at the center. Her kids get vaccinations and basic medicines when they need them – either for free or a nominal fee. Regular examinations and periodic treatments for minor illnesses keep the children well and help her to feel more secure. Nurses from the center make regular visits and help Fatma understand how she can take the best possible care of her children. She is concerned, however, that she can’t always afford to follow the advice of the medical staff. This is particularly true when it comes to feeding herself and her children. The nurses recommend that she give her children milk. Even powdered milk would cost Fatma over $9 a week – which is much more than she can afford. She looks forward to the day when she can give her kids everything they need. Fatma is an entrepreneur at heart - she would like to have a small home-based income-generating project of her own. This way she would be able to increase her income and provide more of the basics her children require. Huwayda was born in Gadarif in eastern Sudan and moved to Khartoum as a young girl. Two years ago, she relocated to Dar El Salaam and began regular visits to the health center. Her husband works as a day laborer in Khartoum. At age 33, Hawaya has six children; her eldest is 14. A seventh died at 18 months from severe diarrhea and vomiting. Hawaya is now pregnant again, and a regular participant in the clinic’s ante-natal care program. She first came to the center back in 2003—when it first opened—because she was pregnant, sick, and concerned for her child. After she was treated her symptoms gradually subsided. Later, she agreed on regular visits from health workers and volunteers to help her through her pregnancy. She now encourages her friends and neighbors to visit the clinic and to join the ante-natal program, but says they often don’t come because they are afraid of the cost. Others feel that they would not be able to afford to follow the advice given. According to Hawaya, they simply don’t realize how much they and their kids could benefit. 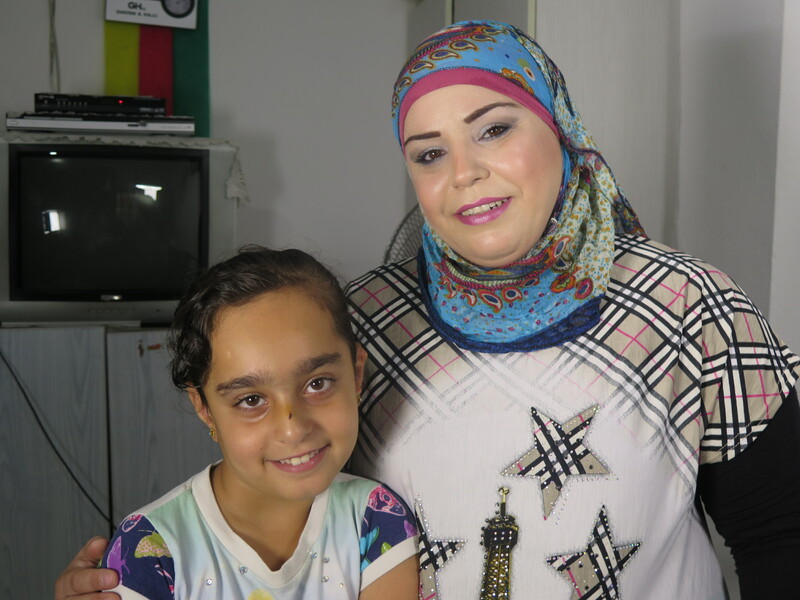 Hawaya takes advantage of the full range of health services, attends health education and nutrition classes, brings her kids when they are sick, and volunteers time to help others. She has learned that simple preventive measures and basic hygiene help prevent more serious illness and offset potentially greater costs – as well as family tragedies. Hawaya is convinced that if she had only known then what she does now, she would not have lost her young daughter. She plans to have her new baby in the center’s delivery room under the care of a doctor and trained midwife. Hawaya wants people to understand the importance of the health center in the life of the community. She encourages improvements and wants to help the center to expand its services. She is particularly concerned about the need for evening hours (when the working men can attend) and for 24/7 services for the maternity ward.